Just a little thank you to Procure NJ/Metro NY Radiation for making the holidays magical for the children. 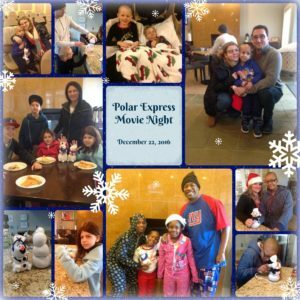 Jake & Levi loved coming in their pajamas and watching Polar Express with their Daddy. They loved making snowmen, eating pizza, and sipping on hot chocolate. We appreciate the extra love during hard times. Looks like a beautiful event. Great to see people come together during difficult times to brighten spirits. The smiles say it all! Best wishes to you and your family. Such a fabulous way to help everyone celebrate the holidays. It is great to see all of the beaming smiles. Very encouraging to see your latest scan! You’ve got this! Cheering you on with positive and healing thoughts!